It is important to understand the difference between a Kaisilver custom bracelet and a bracelet that is purchased as a readymade piece. Our custom bracelets are worked on as individual pieces and not mass produced. Most of the work is done by hand by some of the finest craftsmen. We provide an unmatched degree of customization and flexibility for your custom made bracelet. You can even send us images of your favourite designs to be custom made. Our custom design bracelets will have a weight that is around 50% to 60% more as compared to what the standard mass produced bracelets would have. 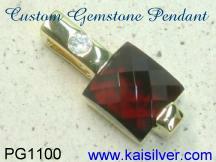 This makes them more durable and also ensures that the gemstones or diamonds are firmly mounted. Light weight bracelets would be cheaper but can also break and bend easily. There is also a possibility of loosely mounted gems or diamonds dropping off. The BRCL01 bracelet is one of the very few highend bracelets that you will find either online or in the jewelry stores. This custom bracelet has a gorgeous design and an awesome weight. If ordered as a custom sterling silver bracelet, the piece would have a weight of around 30 grams and the same piece custom made as a gold bracelet would have a weight of above 40 grams. 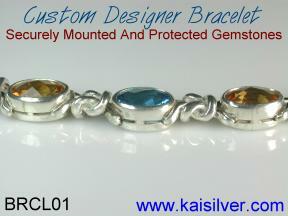 The healthy weight of this custom bracelet makes it sturdy and also provides a secure mounting for the gemstones. The weight would be around 200% more as compared to similar designs sold by other jewelers. This bracelet is completely custom made and is a true highend jewel. 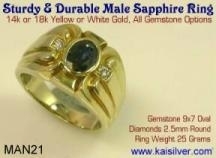 The piece shown here is set with good quality swiss blue topaz and citrine gemstones. Since each bracelet is fully custom made, options for gemstone cut are also possible. Your custom bracelet can be ordered with gemstones that have a normal faceted cut or a multi-faceted checkerboard cut as shown in the BRCL01 image. 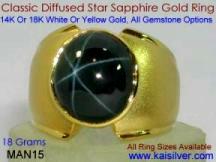 The advantage of getting a Kaisilver custom design bracelet is that all the features of the bracelet can be customized as per your requirements and nature of gemstones selected. For example, gemstones like green jade, lavendar jade, black onyx, moonstone etc are normally cut in a smooth (cabachon) cut and not as faceted gems. A standard bracelet would not allow the setting of both smooth and faceted gems in the same design. 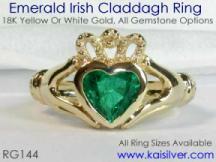 At Kaisilver, each jewel is worked on by skilled craftsmen without relying on ready moulds or blocks. You therefore can use your imagination and let our craftsmen work the magic for your favourite jewels. Custom gemstone bracelets like this one can combine gemstones in the same bracelet or include similar colored gemstones all through the bracelet. You can for example, combine the family birth stones in your custom gold bracelet and include the birth stones of all members in the family. 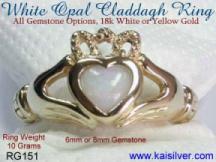 This would make a classic birth stone bracelet and a perfect family jewel. There is another interesting possibility of using graded colors for your gemstone bracelet, but this might not be possible for all gemstones. For example, order this custom made bracelet with only blue topaz gemstones but, use light blue topaz (sky blue topaz), medium blue topaz (swiss blue topaz) and deep blue topaz (london blue topaz) gemstones in the bracelet. Regarding the size of the gem stones, two options exist, the first option is a size 10x8mm oval gem stone and the second is the 9x7mm oval gem stone size. The healthy gold weight of this custom design bracelet will ensure that the bracelet looks spectacular in either size, but the price of certain gem stones might not make the jewel economical for larger gemstone sizes. Gem stones like rubies, sapphires, emeralds and tanzanite are expensive gems and the size 9x7mm oval for this custom bracelet is more likely to be within your budget range. There is another issue that you will need to consider and that is the gem stone grade, this is more relevant in the case of emeralds, rubies, sapphires and tanzanite as these gems are available in different qualities and prices vary across different qualities. Our team of experts will guide you in making the best choice based on your budget and gem stone requirement. (01) Good Weight: Your custom bracelet has a handsome gold or sterling silver weight. The silver custom made bracelet in this design has a weight of around 30 grams and the custom gold bracelet has a weight of around 40 grams. This good weight is the main foundation for a highend bracelet that is strong and sturdy with firmly mounted gemstones. The weight is around double of what other jewelers would provide for similar bracelet designs. (02) Highend Craftsmanship: Some of the world's finest craftsmen work on all Kaisilver jewelry and this custom bracelet is provided complete attention down to the smallest detail. We do not mass produce merchandise and each jewel passes a series of strict quality checks. High quality handfinishing is provided in the final phase of production. (03) Researched Design: This custom gold or silver bracelet has a design that has been researched by a team of Kaisilver experts. Equal emphasis is given to attractive design, sturdy construction and longterm durability. Notice how the border of each gem stone has been bordered with gold instead of using prongs for setting. It would have been much easier for us and also required much less weight if prongs were used to set the gem stones in this custom bracelet. However, prongs tend to stick in clothes and other places and gradually open up. This loosens the gemstones and they could easily drop off. Prongs can also scratch delicate skin and should be used sparingly in high end jewelry. You will also appreciate the design of the bracelet where sharp and pointed edges have been avoided and a good weight has allowed us to design a custom bracelet that is sturdy and safe as well. (04) Customization and Flexibility: When we say 'custom bracelet' we mean complete customization in terms of design, gem stones, bracelet length and even gold or silver options. The length of the bracelet can be 6.5 inches to 8 inches and you can let us know what length you need when you order your custom made bracelet. 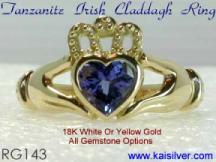 You can even ask for a change of gem stone shape and choose square, round or other shapes for the gem stones. 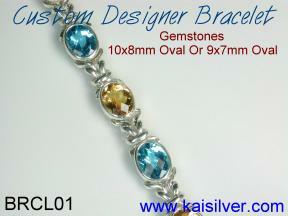 The normal gem stone sizes for this custom design bracelet are 10x8mm oval and 9x7mm oval. 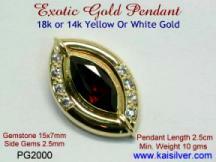 You need not limit yourself to these sizes and can request for 8x6mm oval or even 12x10mm oval shape gem stones. 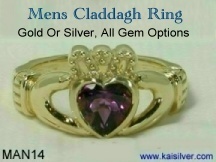 If you prefer something totally different or need a jewel other than a bracelet, email us images and details at sales@kaisilver.com and we will be glad to provide you with advice and work on a price estimate for you. (05) Gemstone Options: A custom design bracelet is meant to include all your preferences and we understand that perfectly. You can order your custom bracelet with any gem stone of your choice. With direct and preferential access to over 200 million carats of gem stones, we can procure and custom cut just about any gem stone for you. Another gem stone option refers to the gem stone cut, as you can select a normal faceted cut or a checkerboard cut with many facets on the surface. If your custom made bracelet is ordered with gems like carnelian, agate, jade, moonstone etc, the gem stone would have a smooth cut with no facets and this is referred to as a cabachon cut gem stone. A standard bracelet design would not be able to accomodate different types of cuts, as the mould will be made for a single gem stone cut type only. However, the complete customization that we offer at Kaisilver allows you complete design preferences as every jewel is individually made. (06) Gemstone Mounting: There is a direct relationship between the good weight of this custom made bracelet and the type of gem stone mounting used. In the case of a custom gem stone bracelet design like this one, the most likely place where the gem stones could get damaged is the rim of the gemstone. The reasons are many but the main reasons are because the edge of the gem stone could come into frequent contact with hard objects like a table, wall etc. Another reason is that the edge of the gem stone would also be thinner than the center of the gemstone. Given this scenario it would make good sense to protect the rim of the gem stone. The BRCL01 custom design bracelet borders the entire gem stone with gold (or sterling silver) and thereby protects the gem stone from side impact. You can save on gold requirement by using prongs to mount the gem stones, but this would only be a short term savings. In the long run, prongs tend to open up as they stick in pockets and other places. Thin prongs can also scratch tender skin and prongs that open up could loosen the gem stones in the jewel. (07) Longterm Durability: It would have been easy for us to make this custom bracelet at a lower price tag. Demand would be larger and profits would be much more, but it has always been our policy to put buyer interests before our profit margins. Low weight and flimsy gem stone mountings would be cheaper only in the short term as, frequent repairs and modifications would add up to the final price of owning this custom gem stone bracelet. The good weight of the bracelet that helps make it more sturdy and also the extra protection provided to the gem stones by mounting them with gold all around the rim, ensure better longterm durability for your bracelet. A well researched design looks at all aspects of the jewel and not just at good looks. 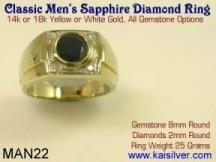 Kaisilver is the only provider to analyze and research every design before releasing it for our buyers. (8) Professional Advice: You would never find another source that allows you to do your shopping at your pace. Try to buy your custom jewelery from another jeweller and you will be pushed and coaxed into making a quick decision, even if it is not the right one. At Kaisilver a team of designers and craftsmen work on every query that is emailed to us, explanations are provided in simple non-technical terms. There is no selling pressure, simply because we do not hire any salesmen. We believe in providing buyers with complete information and then allowing them to make their own well informed decisions. This might seem like an old fashioned way to shop online for your custom bracelet, but it is the way we prefer to build close relationships with buyers. The gem stone size options in the tables below include 10x8mm oval and 9x7mm oval. All gem stone options are available and if you need a gem stone not mentioned in the tables below, please email us with details and we will provide you with a price quote for the same. 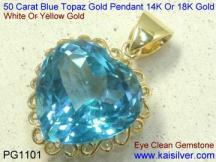 You can also request for change in gem stone size or shape. In the case of gem stones like rubies, sapphires, emeralds and tanzanite different grades can be used and we will provide you with options before you confirm your order. The weight of this bracelet is very good and the sterling silver bracelet will have a weight of around 30 grams. The gold custom bracelet has an awesome weight of around 40 grams and this is more than 200% of what other jewelers would offer for similar designs. The length of the bracelet can be 6 inches to 8.5 inches according to your requirement. 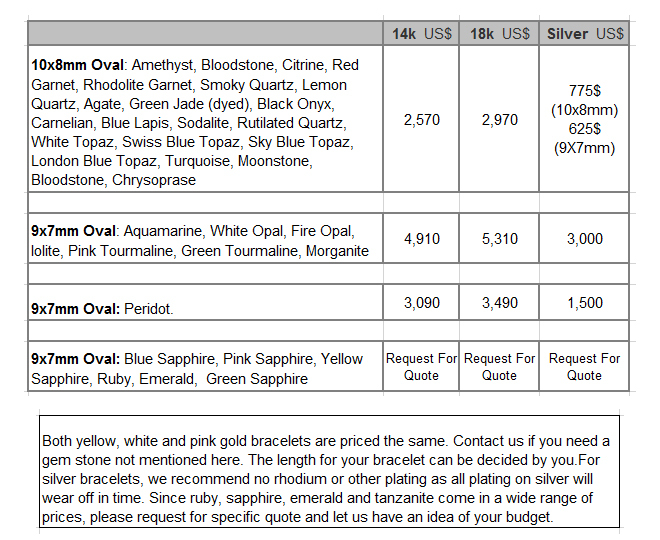 We will let you know if your bracelet length requires more gold weight before the order is confirmed. 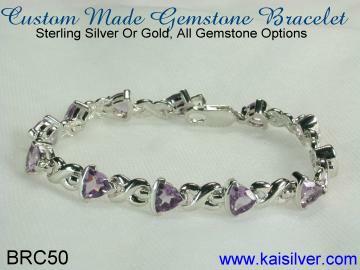 You can also combine gem stones in this bracelet and order a family birth stone bracelet. The gem stones are grouped in the price tables below, let us know if you wish to combine gem stones across groups, like blue topaz and aquamarine etc and we will work a price quote for you. 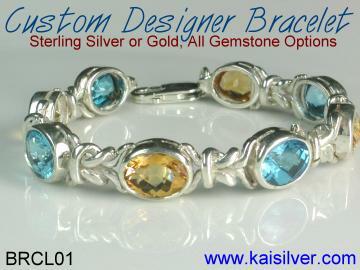 Kaisilver bracelets are custom made in yellow or white gold, sterling silver bracelets are also available. 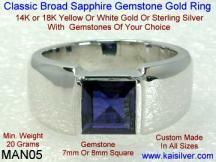 All gemstone options and high quality craftsmanship are provided for gold and sterling silver bracelets. Bracelet designs can be modified as per your requirements and we can also custom make a bracelet according to your design. Click to view the full collection. Please get all your queries answered by our team of experts before you confirm your order. We are in no hurry to get your order and it does not matter if you take all our advice and finally order nothing from us. Email us all your requirements at sales@kaisilver.com and our team will advise you of all possible options and price combinations.